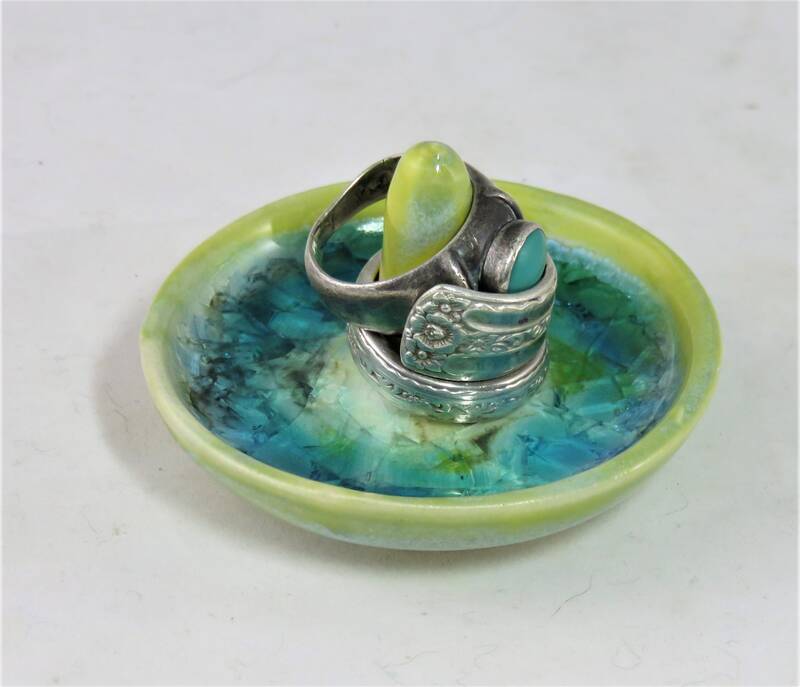 Beautiful and functional, this little bowl will keep your rings safe while you sleep, work etc. It would make a wonderful small gift too. 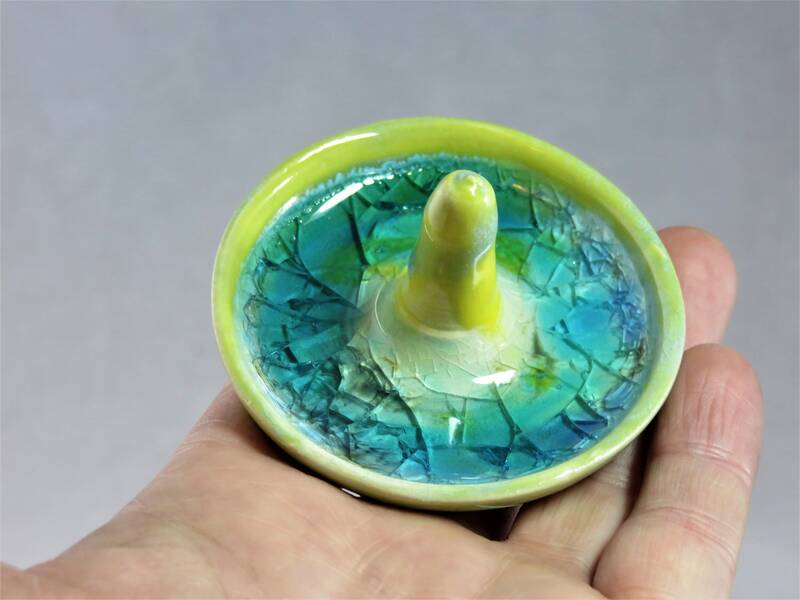 I've used shades of blue glass inside with opal and yellow glaze outside, and it resembles a geode. Measures about 2 inches across.